What would you watch if you had all the time in the world? You may not know this but I recently completed my dissertation and with it, pretty much my doctorate. I mean, just one piddly little internship to go! This has opened up a ton of free time that I had previously (for the last several years) used to focus on researching and writing my dissertation. Time that could’ve been spent watching TV! but alas, was used to write a ridiculously long document that demonstrates that our legal system is broken… or something like that. So here’s my dilemma… I have a list a mile long of what shows I missed… but no clue where to start. So, do me a favor and answer the short list of questions below and share this post with your friends… I want the best list of recommendations I can get! Also, I figure a few posts will end up being written about stuff I catch up on- so it’s almost like you are part of the NerdLush crew! 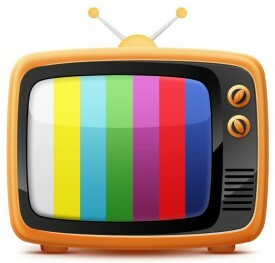 You meet a person who has never seen a movie or TV show in their entire lives… what FIVE shows do you make them watch? Your significant other finds out you’ve been watching ahead on that series you’ve been marathoning together (as part of your couple-time!) because it’s too awesome and if you don’t know what happens next right now you’ll just die!… what’s the show? Which Star Trek series do you rewatch? You’re stranded on a desert island, trapped with ruthless killers, and no means to protect yourself… what show do you distract them with on your iPad? What’s the series that you absolutely love but are embarrassed to tell your friends that you watch? THANKS! All responses will be utilized to determine my viewing for the summer while I waste away waiting for my shows to come back from summer hiatus.